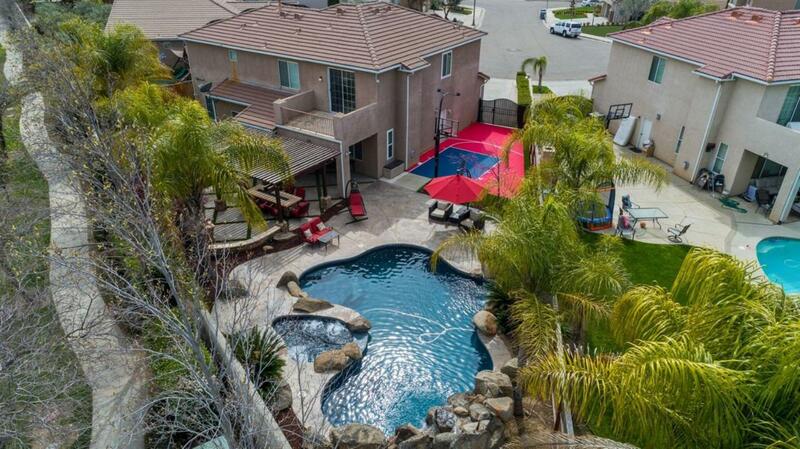 6 Bed,3 Bath ,3 Car Garage ,Pool/Waterfall/Spa at Deauville Estates. 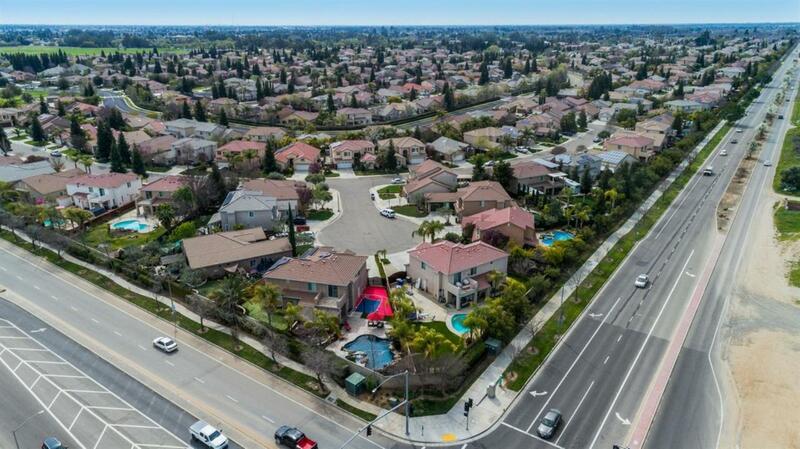 Huge cul-de-sac lot with RV parking and basketball court. 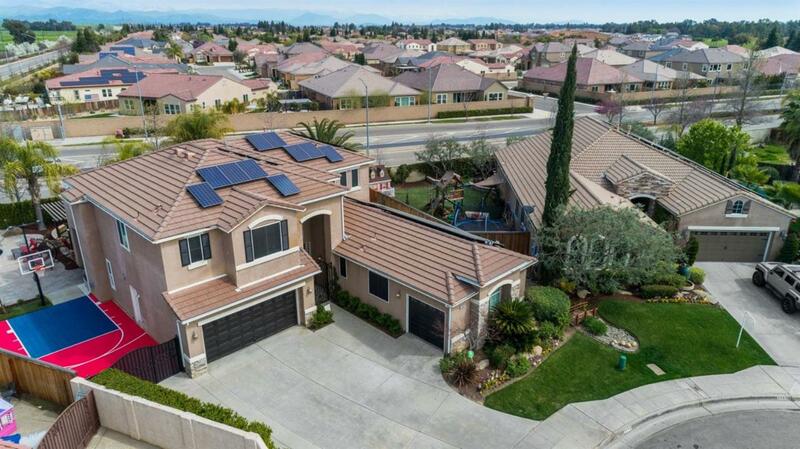 This home has over $175,000 in upgrades including a Solar Owned System for the home. The home was remodeled to include a 6th bedroom with permits ,sculptured hardwood flooring, plantation shutters, new windows including slider. 2 bedrooms downstairs with one bath, formal dining, living room with fireplace and surround sound system, Gourmet kitchen with new stainless Kitchen Aid appliances, center island, gas cook top, new custom cabinets and crown moldings.4 bedrooms upstairs with a split staircase. Bathroom w/ travertine floors and tub/shower. Master bath has soaking tub and separate shower. 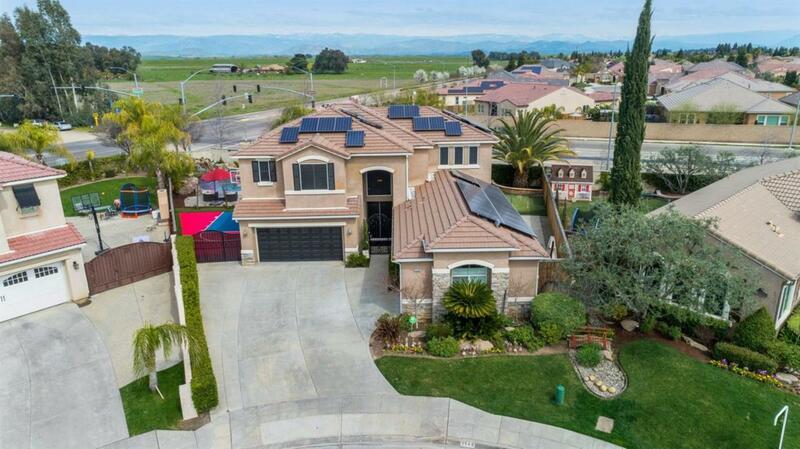 Large Master suite with balcony overlooking the backyard and Sierra Nevada Mts., Master closet with built-in organizer cabinets and shelving .Tile roof, solar tinted windows. Don't let this home away!! !